Good communication is essential to every organisation: communication between organisations, and communication between parts of a single organisation (e.g. between offices in different countries). Before the Internet, most business communication was via telephone, fax, telex (a way of sending text messages that printed out on a printer), or by using mail - the old-fashioned paper version! 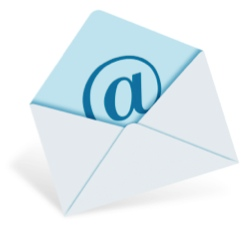 E-mail is a system that allows messages to be sent and received by computers. E-mail is the most common form of electronic communication. 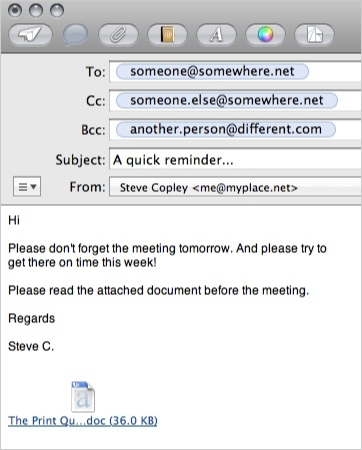 E-mail messages are text-based, but other types of file can also be sent as ‘attachments’. To send and receive e-mail, you need to have an e-mail address. 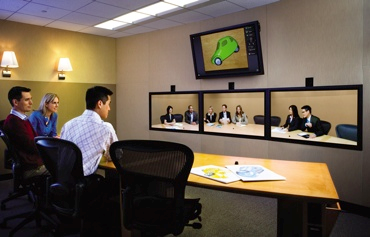 Video-conferencing is a system that allows people to have conversations and meetings with other people in different locations, but without leaving their office. 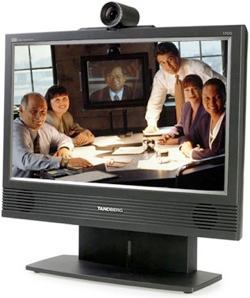 A video-conference involves people sitting in front of a camera and a microphone, whilst watching other people of a screen and listening to them through loudspeakers. Note: The camera is usually TV quality - much better than a standard webcam. 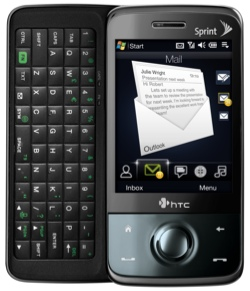 Mobile telephones allow people to be away from their workplace, yet still be contactable. This means that people can still work, even when out of the office. Send and receive files such as images, text documents, etc. Most people would be lost without their mobile phone! 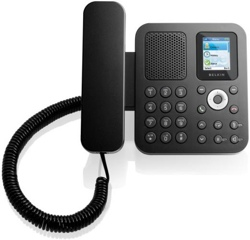 Internet telephony, or 'VOIP', is becoming very popular both for personal use, and within the workplace. 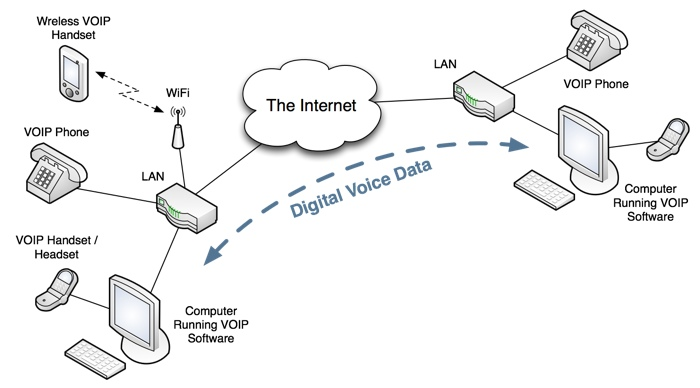 In other words, VOIP systems use your Internet connection to send and receive phone calls. 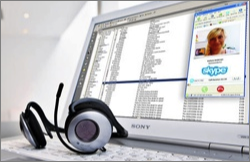 The most well-known public VOIP service is Skype, but there are others such as Google Talk, Vbuzzer, Fring, ooVoo, and SightSpeed. Fax is short for ‘facsimile’ which means ‘copy’. 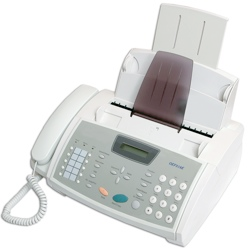 A fax machine is a device that can send a copy of a paper document over the telephone network. The sending fax converts the light/dark areas of the printed document into noises. These noises travel through the phone system and are received by another fax machine. 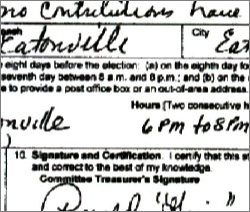 The receiving fax machine converts the noises into printed marks on a piece of paper - making a copy of the original document. Faxes have been used for many years as a quick way of sharing documents. However, now most people have access to a computer, e-mail attachments are more commonly used.